There are weeds for every season. Now that we are heading into the hot days of summer, spring weeds (if they haven’t already) are fading. There is a parallel between them and the spring wildflowers we love. They start early, greening up and flowering even before there are leaves on the trees. They exploit the sun made available before deciduous trees and shrubs can hog it all, and they take advantage of the moisture in the soil brought by winter snowfall and spring rain. They thrive in cool temperatures, and their flowers provide early pollen and nectar for emerging pollinators. One major difference between spring ephemeral weeds and spring ephemeral wildflowers is that, despite having similar strategies and providing similar services, the spring weeds aren’t from here; and so we look down on them. 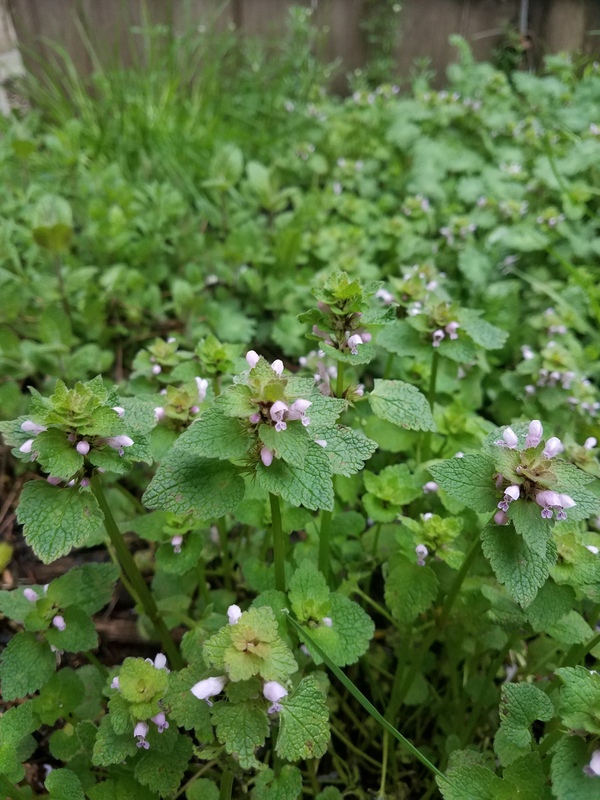 Two common, annual, spring weeds that are easily recognizable – but often mistaken for one another – are henbit and purple deadnettle. 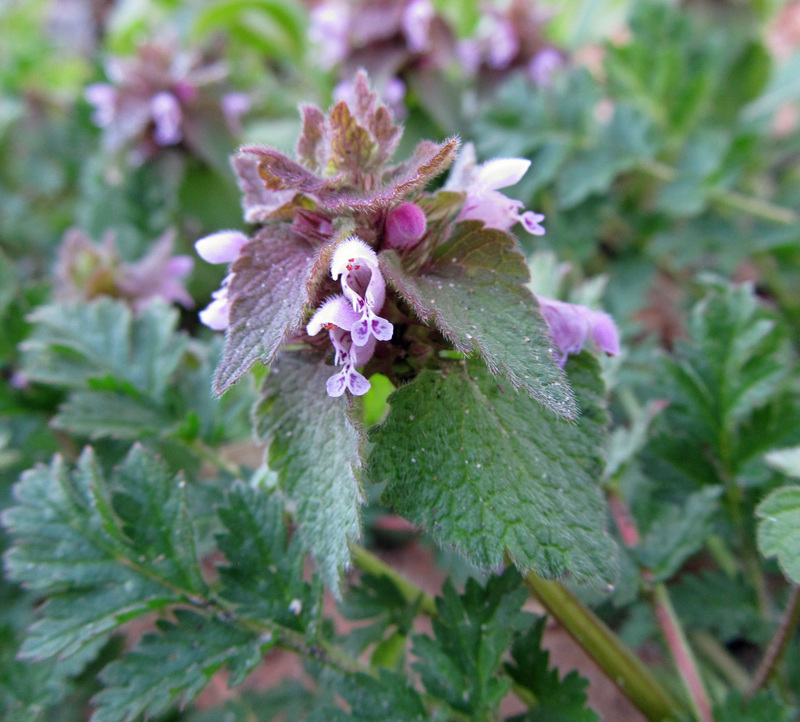 Both are in the genus Lamium and the family Lamiaceae (the mint family) and both arrived from Europe. Looking closely at the leaves is the best way to tell these two apart. 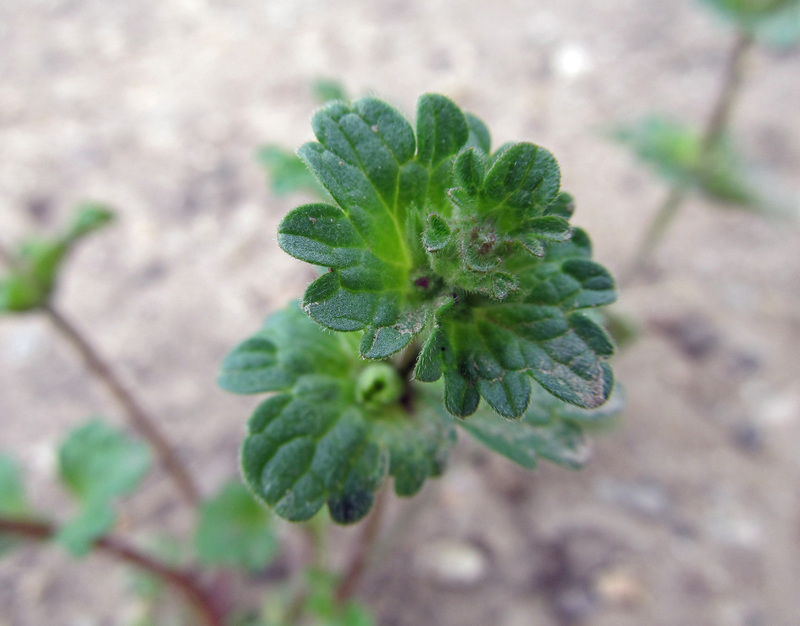 The upper leaves of henbit (Lamium amplexicaule) lack petioles and are round or oval with rounded teeth. The upper leaves of purple deadnettle (Lamium purpureum) are crowded around the stem, have short petioles, sharper teeth, and are more spade-shaped, coming to a point at the tip. The uppermost leaves of purple deadnettle are a distinct reddish-purple. Identify That Plant offers a great tutorial to help tell these and groundy ivy (another spring-occurring, annual weed in the mint family) apart. Henbit prefers full sun and moist, rich soils. It can have either a prostrate or an erect growth habit. 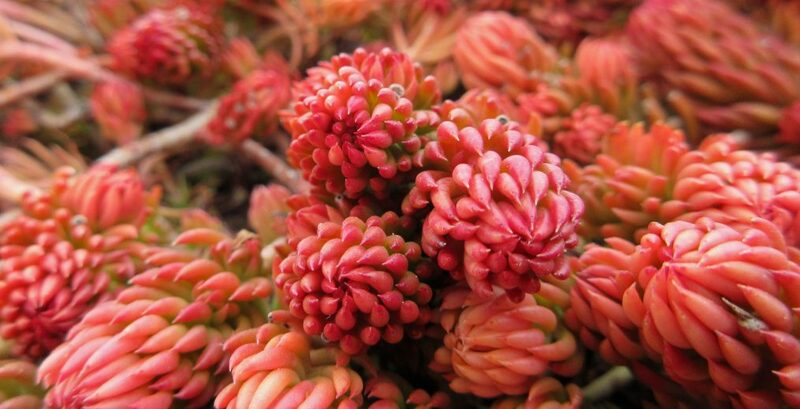 In urban environments it is commonly found in lawns, garden beds, and drainage ditches. It is common in agricultural crops and fallow fields as well. 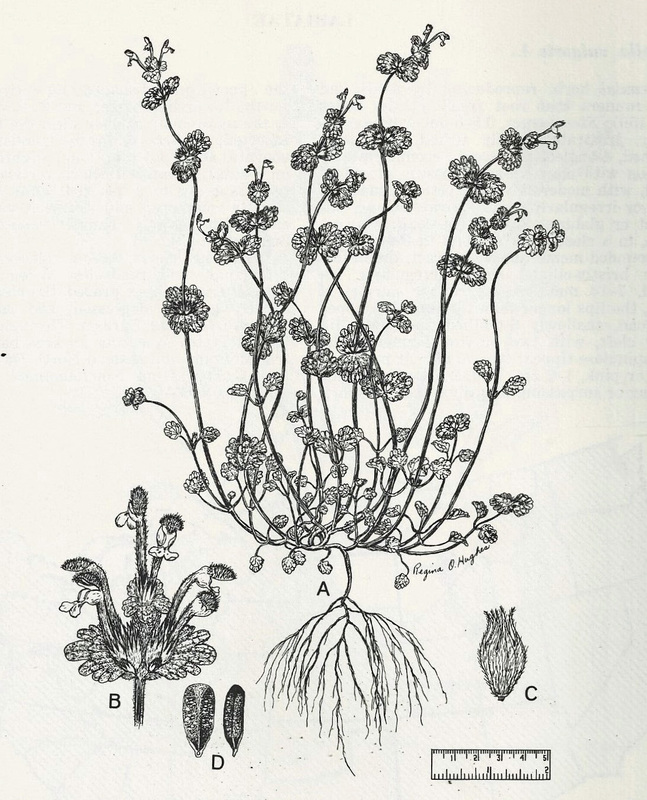 According to Weeds of North America, “henbit is poisonous to livestock, especially sheep, causing the animal to stagger;” it is also a host for aster yellows, tobacco etch, and tobacco mosaic viruses. Purple deadnettle inhabits similar sites, often forming a dense groundcover. While henbit and purple deadnettle are highly attractive to bees, they do not always require insect pollination and can self-pollinate instead. Each plant can produce dozens of seeds, and seeds remain viable in the soil for as long as 25 years. Plants in the genus Lamium are commonly referred to as dead-nettles because they resemble stinging nettle (Urtica dioica) and other plants in the genus Urtica. Lamiums do not posses the stinging quality, and so they are “dead.” The young leaves, shoots, and flowers of henbit and purple deadnettle are edible and can be eaten raw or cooked. Check out Eat the Weeds for more details. From a utilitarian perspective, a weed is any plant that grows by itself in a place where people do not want it to grow. The term is a value judgment that humans apply to plants we do not like, not a biological characteristic. Calling a plant a weed gives us license to eradicate it. In a similar vein, calling a plant invasive allows us to blame it for ruining the environment when really it is humans who are actually to blame. From the biological perspective, weeds are plants that are adapted to disturbance in all its myriad forms, from bulldozers to acid rain. Their pervasiveness in the urban environment is simply a reflection of the continual disruption that characterizes this habitat. Weeds are the symptoms of environmental degradation, not its cause, and as such they are poised to become increasingly abundant within our lifetimes. This entry was posted in Botany, Horticulture and Agriculture, Urban Ecology and tagged edible plants, henbit, human disturbance, introduced plants, Lamium, Lamium amplexicaule, Lamium purpureum, purple deadnettle, spring ephemerals, Summer of Weeds, urban weeds, weeds. Bookmark the permalink. Two weeds I don’t have! Amazing, I have all the other ones. I love those weeds. They’re the first sign of spring in my garden. Didn’t know you can eat them. Thank you! Though I’ve appreciated little purple Lamiums for many years, I never stopped and looked carefully enough to ID them, or to find out there are actually two that look similar. I stumbled here via a google image search of bitterbrush. I’ll follow, and explore!